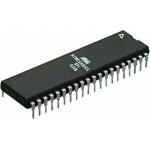 Purchase online Atmega8515 Microcontroller in India at low cost from DNA Technology, Nashik. 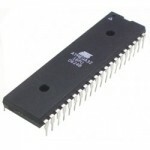 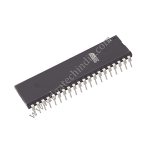 ATMEGA8515 is a high-performance, low-power Atmel 8-bit AVR RISC-based microcontroller combines 8KB of programmable flash memory, 544B internal memory, up to 64KB external SRAM, and 512B EEPROM. 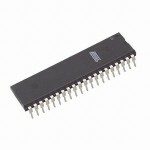 The device supports a throughput of 16 MIPS at 16MHz and operates between 2.7-5.5 volts. 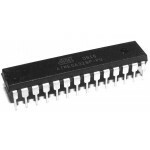 By executing instructions in a single clock cycle, the device achieves through puts approaching 1 MIPS per MHz, balancing power consumption and processing speed.